One of the great doctors of the Church, St. Alphonsus Liguori assembled the finest information on Our Lady from the many writings of the saints, holy authors, and Sacred Scripture. The Glories of Mary is five complete books in one volume. The first book examines the words of the Salve Regina and shows how God has given Mary to mankind to be the Gate of Heaven. The second book explains Our Lady's principal feasts and reveals fresh truths about these mysteries. The third book explains the Seven Sorrows of Mary and why Our Lady's martyrdom was longer and greater than that of all other martyrs. The fourth book describes ten different virtues of Our Lady, and the fifth book provides dozens of famous prayers, meditations, and devotions to her. Included are the theological proofs for the Immaculate Conception, explanations of the invocations in the Litany of Loreto, and a description of Our Lady's death. The Glories of Mary is the greatest compendium of nearly eighteen centuries of teaching on Our Lady and seeks to lead many souls to a greater love of Jesus through a more intimate knowledge of Mary and her exalted role in our salvation. 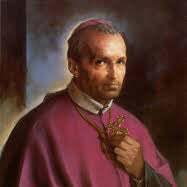 St. Alphonsus Liguori was an Italian Catholic bishop, spiritual writer, composer, musician, artist, poet, lawyer, scholastic philosopher, and theologian. He founded the Congregation of the Most Holy Redeemer (the Redemptorists). In 1762 he was appointed Bishop of Sant'Agata dei Goti. A prolific writer, he published nine editions of his Moral Theology in his lifetime, in addition to other devotional and ascetic works and letters. Among his best known works are The Glories of Mary and The Way of the Cross, the latter still used in parishes during Lenten devotions. He was canonized in 1839 by Pope Gregory XVI and proclaimed a Doctor of the Church by Pope Pius IX in 1871. One of the most widely read Catholic authors, Alphonsus Liguori is the patron saint of confessors.